Practicing responsible urban pest management protecting people, property and the planet. The past decade has seen a dramatic resurgence of bed bugs in urban areas, calling for a new approach to pest control. Since our inception in 2011, Excimex has led the fight against urban pest infestations by providing cutting-edge eradication services, education for the community, environmental responsibility, and professional accountability utilizing Integrated Pest Management practices. 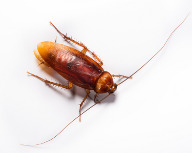 Our goal is to improve the quality of life for your residents by eliminating urban pests by any means necessary. We'll work with you to develop a plan for each individual situation with regard of the entire community as a whole.